This system of treatment has totally changed my clinic and my clients report amazingly good results. (The GUNA Method) represents the most up-to-date integration of conventional medicine and homeopathic medicine. The GUNA Method includes the most recent knowledge about homeopathy, homotoxicology, Psycho-Neuro-Endocrine-Immunology and nutrition. GUNA Method’s innovative approach combines the essential elements of allopathy and homeopathy; integrating the allopathic element related to diagnostic technology and modern physiology, whereas evidence based homeopathy provides the therapeutic effects. Considering the above mentioned assumptions, it is easy to understand the formulation of GUNA medications. Although each product has specific fields of application, each composition shows a common structure to ensure a holistic medical approach to acute and chronic diseases. The ingredients in each GUNA formulation are assembled and balanced in combinations that result in a powerful THERAPEUTIC UNIT, where all components act in concert to restore the body’s balance and to correct the diseased state. GUNA medicines represent an integrative therapy, which is effective on both the inherent causality and symptomatic treatments. DETOXIFICATION: A detoxified and drained extra-cellular matrix absorbs oxygen and nutrients adequately, allowing cellular receptors to be activated by the “therapeutic molecules”, thus enabling cells to perform their metabolic function. The organs of elimination, activated by specific detoxification ingredients, will be strengthened in their physiological excretory and toxin-release function. P.N.E.I. RE-BALANCE: Modulating the Psycho-Neuro-Endocrine-Immune axis in both directions, (psychosomatic and somatopsychic), is the essence of Physiological Regulating Therapy.  In support of sophisticated biological mechanisms,homeopathic micro doses of: cytokines, hormones, neurotransmitters and selected homeopathic ingredients (herbal, mineral, or animal origin), reduce, modulate, and stimulate the reactivity of the three main biologic systems (nervous, immune and endocrine), to rebalance their physiological functioning. CELL METABOLIC SUPPORT: The action of the hormones, cytokines, or any homeopathic remedy on the cell membrane receptors would not be effective if the cell were not in the proper “energetic” condition to respond. 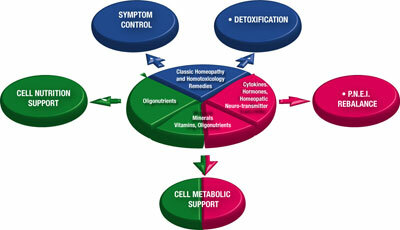 Therefore, cell metabolic stimulation is a necessary step to assure therapeutic success. Vitamins, minerals, oligonutrients, and most importantly, homeopathic micro doses of Krebs Cycle salts and quinones, activate the mitochondria as energy reservoirs to restore the highest ATP synthesis capacity. CELL NUTRITIONAL SUPPORT: Nutrients (proteins, carbohydrates, lipids) can have an essential role in maintaining or restoring health. The most advanced research studies in nutrition have defined the typology, metabolic routes, and most importantly, the optimal amounts of each nutrient necessary for cellular nutrition. GUNA Products contain these small (oligos) and balanced (orto) amounts of amino acids, and vitamins necessary for proper cell nutrition. In addition, oligonutrients are incorporated to protect biological structures from free radicals, which are harmful in chronic and degenerative diseases, as well as in the aging process. SYMPTOM CONTROL: The novel GUNA therapeutic concept results from scientific studies in the field of molecular biology, coupled with homeopathic tradition. GUNA’s nano-pharmacology technology is a process which utilizes homeopathic micro-doses of molecules at the same concentration as in the physiological milieu. These molecular micro-doses are capable of reactivating the appropriate biological immune response. Interleukins, neurotransmitters, homeopathic hormones, as well as classical homeopathic ingredients, work in synergistic coordination to reverse inflammatory processes and their resultant physiologic effects. The specific ingredients for each evolutionary phase of the inflammatory process (calor, dolor, rubor, tumor), are uniquely formulated to restore homeostatic balance with a considerable reduction in recovery time. 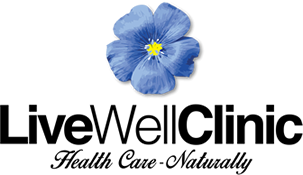 Would you like to book an appointment with Majella at Live Well Clinic?